If you are starting a new local business then you know the most basic struggle almost every new business most overcome. You have little to no clientele and that needs to change – fast. There are a lot of ways to grow your new business. You can hit the pavement and start reaching out to potential clients. Of course, that requires a lot of resilience as only a very small fraction of cold calls will ever result in any sort of business being earned. Other ways of growing your business could include offering introductory discounts, going to networking events, or launching an advertising blitz on local media. All methods have their pros and cons but there is one method that is time efficient, cost effective, and delivers results. Local SEO can give your new business the early boost it needs to start growing quickly. Best of all, there’s no need to make unsolicited phone calls or slash the prices of your products and services. SEO is a term you may have heard before. It stands for “search engine optimization.” Essentially, this is the process of optimizing your online presence so that your business appears near the top of search results when people are looking for the products or services you offer. There are many factors that play a role in SEO. In addition, search engines often tweak how much emphasis should be put on each factor. SEO could include the words used on your website, how many other websites have links to your website, how many social media followers you have, and more. Local SEO is exactly as the name suggests. Many of the same principles of SEO are still valid but, with local SEO, you want to see your business in the top search results for local customers. If you are starting a new business, you probably don’t have the time or money to sit back and wait for business to come to you. Instead, you need to start seeing results quickly. Here are some ways that local SEO can help your business grow fast. Local SEO can, quite literally, put your business on the map. One of the most important details that a search engine can provide to potential customers is the location, hours, and contact information for your business. 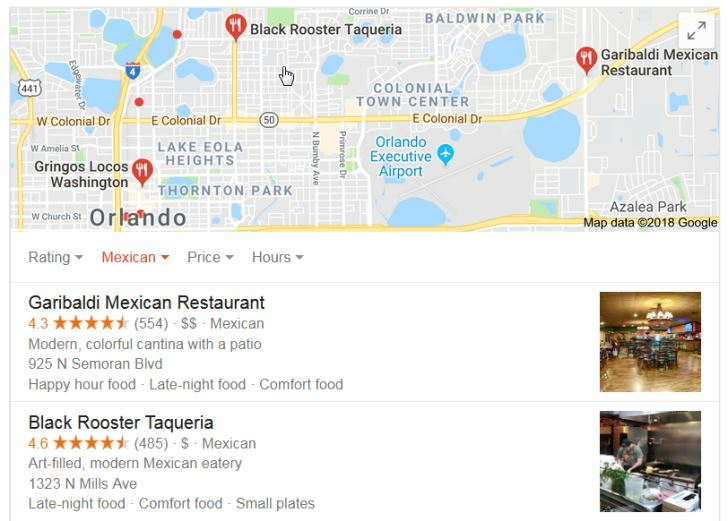 How does local SEO come into play? By optimizing your online presence, your business will be included when people are searching for related businesses on Google Maps or Apple Maps. That seemingly small inclusion can vault your business from unknown operation to serious competitor in the blink of an eye. Often, when people are searching for a product or service, it is because they have a need for that product or service in the near future. 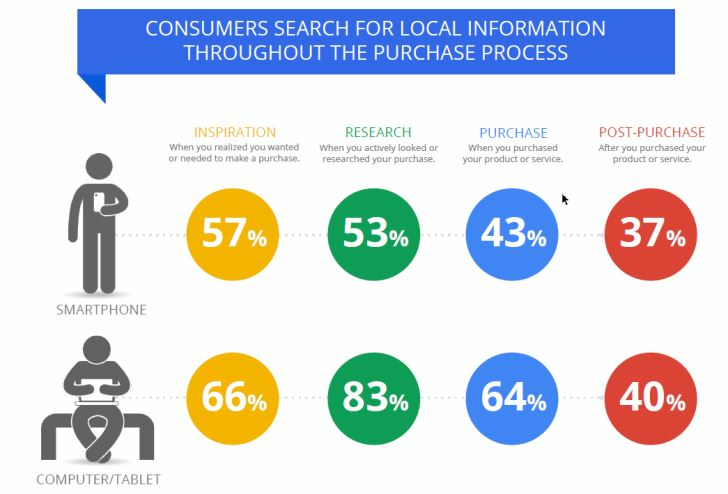 In fact, Google has found that 50% of people who perform a local search end up contacting a business within 24 hours of entering their search. Let’s put this in a more traditional marketing frame of reference. If you knew that 50% of people driving past a billboard will end up making contact within 24 hours, would you buy space on that billboard? Of course you would! Getting in front of eager buyers is key to growing your business rapidly. Oh, and by the way, the conversion rate of billboards is much lower than 50%. Many people don’t put much thought into SEO because they assume it won’t have much of an impact on their business. The reality is that 92% of people that use the internet regularly use search engines to learn more about a product or business. Over half use a search engine on a daily basis. So, we know that almost everyone who uses the internet is going to do an online search for information about products and services. Would you like your business name to be front and center when they do that search or are you hoping they will discover your business by accident? There is no getting around it: if you are not one of the top results on search engines then you simply will not be seen by potential customers. Better SEO means more visits to your website and, hopefully, more sales for your business. The importance of ranking highly on search engines cannot be understated. In fact, the difference between click through rate for top results and lower results is massive. Click through rate is the percentage at which people click on a search engine result to follow the link. Data shows that the top result on a search earns a click through rate of about 30%. The second ranked website in the search results only earns a click through rate of 13%. By the time you reach fifth position, the click through rate has dropped to 3%. As you can see, ranking highly can deliver incredible results. If you have effective local SEO, you will get the chance to interact with about 30% of people who found you through a web search. That is a massive advantage over your competition. There is no secret formula to building a successful business. It takes hard work and dedication. By using effective local SEO, you can give yourself a distinct advantage in your marketplace. Your business name will be seen more, you will earn more clicks from potential customers, and that adds up to more sales on the books. If you need your new business to start growing quickly, you need to ensure your local SEO is on point. Austin Andrukaitis is the CEO of ChamberofCommerce.com. He's an experienced digital marketing strategist with more than 15 years of experience in creating successful online campaigns. Austin’s approach to developing, optimizing, and delivering web based technologies has help businesses achieve higher profit, enhance productivity, and position organizations for accelerated sustained growth. Lead generation has changed over the last ten years. Consumers are more educated than ever on the things they buy. Learn the time-tested strategies to attract customers in today's digital landscape. The government incentives people to start their own companies through small business tax deductions. These deductions help business owners invest in their operation, work towards success, and achieve their goals. Awarded by the private sector and government, small business grants are essentially free money, but not all of them will match your business. We can help you find the grants that are the best fit for your business. If you’re ready to get up and running with your own business today, we’ve compiled some resources to help you figure out what kind of business to start without spending your entire life savings.